AUBURN HILLS, MI: Automaker Chrysler Group is aiming to place some 150,000 books in schools across the country by the end of June through its "Road to Literacy" Facebook campaign. “Social media is a great way to connect with the consumer,” said Dianna Gutierrez, senior manager, marketing communications at Chrysler, adding that all of Chrysler's brands have a social media component. While the campaign is geared to “everyone,” said Gutierrez, its natural audience is made up of parents and grandparents of children in pre-school through 12th grade. With the "Road to Literacy" campaign, consumers visit the campaign's Facebook page and request that five books go to a school, public or private, of his or her choice. Chrysler will match that request with an additional five books sent to a "school in need," said Gutierrez. The manufacturer will select the books, all of which is purchasing from educational publisher, Scholastic. After that, the participant will choose a local dealer, among the 2,300 throughout the country, and test-drive a 2011 Town & Country minivan. At this stage, the campaign is far short of its goal, said Gutierrez, with only 1,000 books donated. To beef up results by the end of June, Gutierrez said this week the second phase of the campaign will begin, with weekly tweets on its Twitter account, details on scholastic.com, parentchild.com, and the websites of parenting magazines, as well as notices on the Chrysler brand, and its Town & Country Web pages. She added that, eventually, individual dealers will announce the program on their Facebook pages. Gutierrez said the company also will reach out to owners of Town & Country minivans and to other Chrysler customers on Facebook. 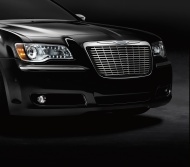 Southfield, MI-based Meredith Integrated Marketing, which is an AOR for Chrysler, is handling the campaign.